Here’s what’s up in the world of TV for Wednesday, October 11. All times are Eastern. Mr. Robot (USA, 10 p.m.): The second season of USA’s Mr. Robot endured the usual second-year backlash, with some fair criticism of the show’s gratuitous use of abstruse teasing (which seemingly shaded into outright trolling at times), but even with those problems, it remains one of the most visually striking and narratively ambitious shows on TV. 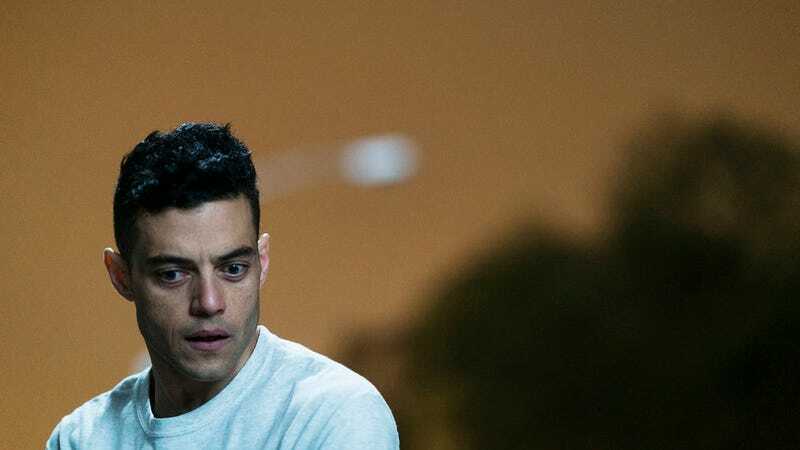 Season three kicks off tonight, and as we wait to find out how Elliot will recover from last season’s cliffhanger gunshot wound, Alex McLevy will again be there to unpack every portentous reference and philosophical aside. The Shannara Chronicles (Spike TV, 10 p.m.): Let’s be honest, the first season kind of sucked. But if you’re hoping the show can right the fantasy-driven ship in its sophomore year, here’s your chance to see the results.